THE B-MOVIE NEWS VAULT: Scream Factory revs up THE LAWNMOWER MAN on June 20th! Scream Factory revs up THE LAWNMOWER MAN on June 20th! 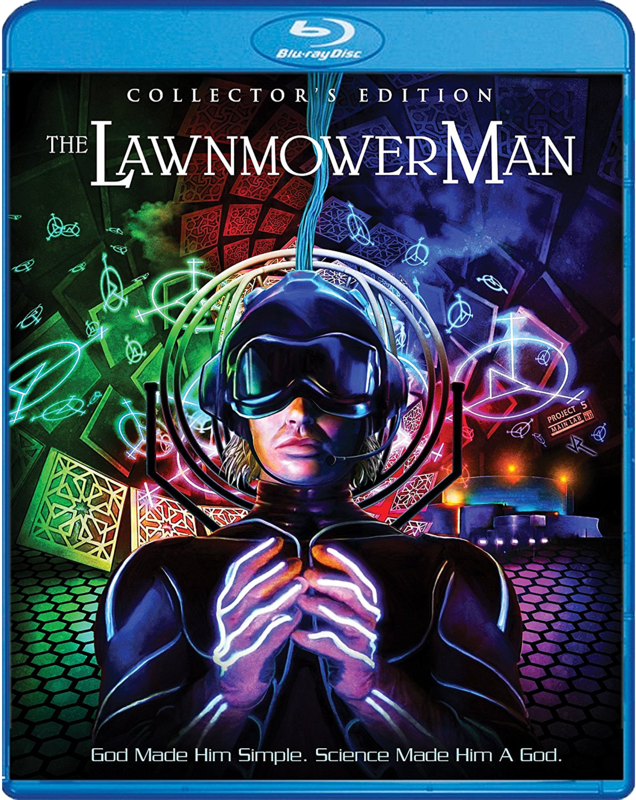 WITNESS A SIMPLE MAN BECOME A GOD IN SCREAM FACTORY'S NEW COLLECTOR'S EDITION BLU-RAY OF THE LAWNMOWER MAN! Truth be told, THE LAWNMOWER MAN was a film I just couldn't quite get into when it originally came out. (Give me a break - I was only 9 years old!) But now that it is making its big Blu-ray debut, I'm finally ready to give it a shot! Synopsis: Dr. Lawrence Angelo (Pierce Brosnan, THE SON) is a brilliant scientist obsessed with perfecting virtual reality software. When his experiments on animals fail, he finds the ideal substitute – Jobe Smith (Jeff Fahey, MACHETE), a slow-witted gardener. Dr. Angelo's goal is to benefit his human guinea pig and ultimately mankind itself, but evil lurks the guise of "The Shop," a shadowy group that seeks to use the technology to create an invincible war machine. When the experiments change the simple Jobe into a superhuman being, the stage is set for a Jekyll-and-Hyde struggle for the control of Jobe's mind and the future of the world. Directed by Brett Leonard (VIRTUOSITY, HIDEAWAY), the film also stars Jenny Wright (NEAR DARK) and Geoffrey Lewis (THE DEVIL'S REJECTS). NEW! 4K scan of the interpositive! NEW! Cybergod: Creating The Lawnmower Man – Featuring interviews with co-writer/director Brett Leonard, actor Jeff Fahey, editor Alan Baumgarten, make-up effects artist Michael Deak, and special effects coordinator Frank Ceglia! Audio Commentary with writer/director Brett Leonard and writer/producer Gimel Everett. Original Electronic Press Kit with vintage cast interviews and behind-the-scenes footage. NEW! 4K scan of the interpositive with additional “director’s cut” footage from the original camera negative! Conceptual art and Design sketches. 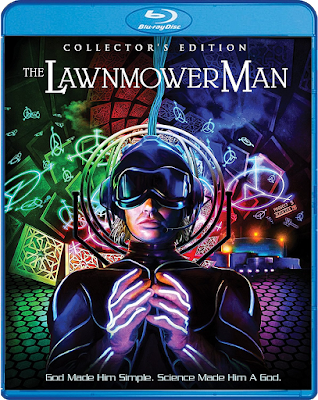 THE LAWNMOWER MAN (COLLECTOR'S EDITION) will be available wherever Blu-ray discs are sold on Tuesday, June 20th! Between the new (and reversible) cover art, two versions of the film, and a slew of extras, Scream Factory really outdid themselves on this one! 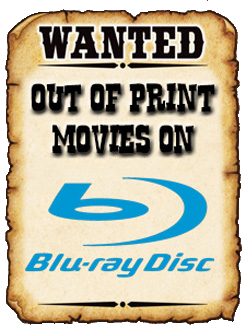 So be sure to order yourself a copy from AMAZON, BULLMOOSE, or DIABOLIK DVD. And if you decide to order directly from SHOUT! FACTORY, you will receive this title, and a FREE 18 x 24 poster, a full two weeks before street date!